ico-D is pleased to endorse Was. Is. 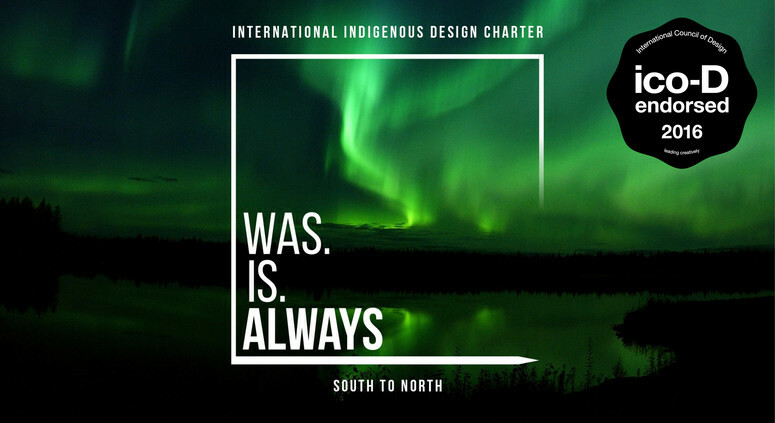 Always: South to North which will comprise a series of community led workshops in Sweden, Greenland and Denmark bringing together researchers, students, industry, and other organisations involved or interested in Indigenous design. The primary aim of the workshops is to progress discussion towards the realisation of an International Indigenous Design Charter, outlining the appropriate use of Indigenous knowledge in commercial communication design practice. Was.Is.Always: South to North is organised by ico-D Member Deakin University (Australia) and sponsored by the Australian Government, Department of Foreign Affairs and Trade, Indigenous Architecture and Design Victoria (IADV), ico-D Member Design Institute of Australia (DIA), Jonkoping University, Ilismatusarfik University and Copenhagen School of Design and Technology. The event will provide an opportunity for Indigenous participants of each participating nation to showcase their designs, learn and share knowledge of culture and design practice, and build long term academic, professional and social networks. 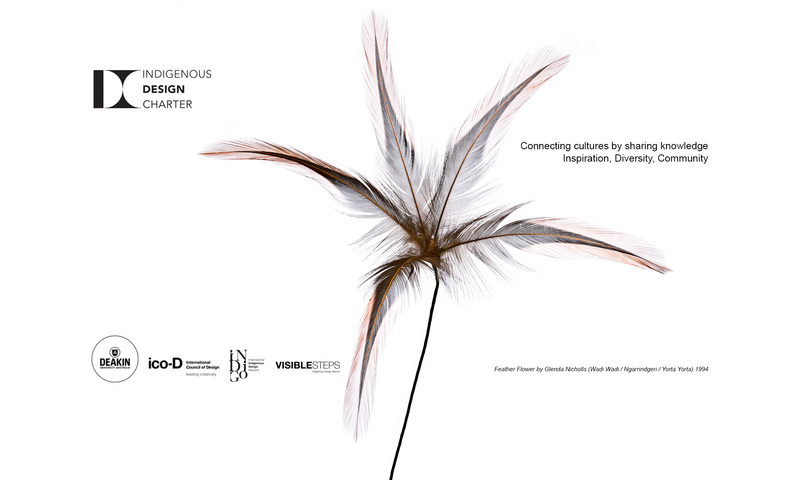 Having published the Australian Indigenous Design Charter: Communication Design (2016), the conference/workshops will work with local universities and stakeholders to facilitate discussion around establishing a broader international Indigenous design charter. The Was.Is.Always: South to North in-country workshops will be held in collaboration with local Sami and Greenlander hosts and contributors, and officially opened by Damien Miller, Australian Ambassador to Denmark, Norway and Iceland. 28 OCTOBER 2016: Deakin University is developing an International Indigenous Design Charter – a world-first guide to support visual designers to develop culturally-aware and accurate representations of Indigenous imagery in their work. Development of the project begins next month when Deakin researchers and Indigenous students from Deakin’s Institute of Koorie Education (IKE) travel to Greenland, Sweden, and Denmark for a series of workshops. The team will meet with local Sami and Inuit people, along with prominent industry designers, academics and designers from the University of Greenland (Ilisimatusarfik), the Copenhagen School of Design and Technology, and Greenland House during the WAS.IS.ALWAYS South to North workshops. Up for discussion will be an International Indigenous Design Charter that aims to assist Indigenous and non-Indigenous designers to work together to incorporate Indigenous knowledge, communities and culture in design projects. Dr Russell Kennedy, Senior Lecturer in Visual Communication Design at Deakin University and one of three Deakin academics who will be attending the workshops, said the workshops followed the creation of the Australian Indigenous Design Charter: Communication Design in September. 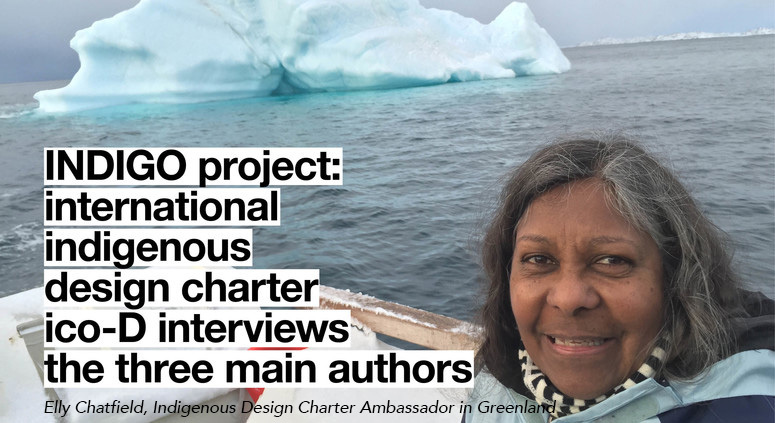 “The Indigenous-led Charter outlines 10 points for non-Indigenous and Indigenous communication designers and buyers of design to follow throughout the various stages of the design process,” Dr Kennedy said. “The issue of inappropriate representation and misuse of Indigenous culture in communication design is international. There are Indigenous groups facing similar problems in every continent around the world. Dr Meghan Kelly, Senior Lecturer in Visual Communication Design at Deakin University and another workshop attendee, said the program would be an enlightening experience for researchers and students alike. “Indigenous participants from each participating nation will have the opportunity to come together to showcase their designs, learn and share knowledge of their culture and design practice, and build networks,” Dr Kelly said. “For many of the 11 IKE students coming along, it’ll be the first time that they’ve travelled overseas and the first time they will see snow – students from Indigenous communities across Australia travel to our Waurn Ponds campus to study at IKE – when they try their hands at dogsledding. WAS.IS.ALWAYS will be hosted by Deakin’s partner, the University of Greenland (Ilisimatusarfik), and formally opened by Australian Ambassador to Denmark, Norway and Iceland, Mr Damien Miller. It is supported by the Australian Department of Foreign Affairs and Trade’s Cultural Diplomacy Grant Program and officially endorsed by the International Council of Design (Ico-D). Established in September 2016, the Australian Indigenous Design Charter: Communication Design aims to remove barriers between Indigenous and non-Indigenous when it comes to design. The Charter is an outcome of the Memorandum of Understanding signed by Deakin University and its Institute of Koorie Education (IKE), the Design Institute of Australia (DIA), and Indigenous Architecture and Design Victoria (IADV). The Charter outlines 10 points for non-Indigenous and Indigenous communication designers and buyers of design to follow. The 10 points cover the various stages of the design process from the initial idea to the final product and emphasise the need for respectful exchange, open thinking, deep listening, and a genuine commitment to learning from both non-Indigenous and Indigenous parties throughout the process. The Australian Indigenous Design Charter: Communication Design was drafted by Dr Kennedy and Dr Meghan Kelly from Deakin University in collaboration with Professor Brian Martin (Muruwari, Bundjalung, Kamilaroi) and Jenny Murray-Jones from IKE, Professor Christoph Anton from Deakin University, Jefa Greenaway (Wailwan/Gamillaraay) from IADV, and the Design Institute of Australia (DIA). This important initiative is supported by the Australian Department of Foreign Affairs and Trade’s Cultural Diplomacy Grant Program.